Screen Ireland has announced details of its 2019 slate of supported productions coming to screens this year at a briefing held by the agency, along with industry highlights from 2018, ambitions, and priorities for 2019. Screen Ireland also announced its plans to drive changes across the industry, linking future funding allocations to a number of key driving principles– equality, diversity and inclusion, career & skills development, dignity in the workplace, and climate and sustainability - incentivising and rewarding positive change and supporting the industry in a continued and sustained era of growth. The agency’s funding continues to be restored by Government, and for 2019 it has been allocated €16.2 million in capital funding, up from €14.2 million in 2018. With the Government committing last year, for the first time ever, to a long-term commitment to film culture with a funding allocation of €200 million between 2018 and 2027 - together with a growing global demand for content - the industry is poised to continue to increase and expand the significant economic and social contribution it makes to Irish society. 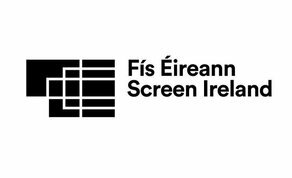 In order to ensure that the industry is best-positioned to fulfil its full potential, further capacity is required – both from a talent and infrastructure perspective – and this will continue to be an area of focus for Screen Ireland. International interest in Ireland as a location is at an all-time high, and it is imperative that we increase our talent pool and studio production space to fully realise the potential for both inward production and indigenous production. To this end, Screen Skills Ireland is working with regional stakeholders in Limerick, Galway, Cork and Kilkenny to develop a greater regional balance in film and animation skills across the country. In the slate of productions being launched, Irish Film 2019, Screen Ireland revealed the details of a diverse range of Screen Ireland supported productions, including 20 feature films, 6 animations, 17 documentaries. They are already being well received on the global stage – with six films at the Sundance Film Festival including ‘The Hole in the Ground’ directed by Lee Cronin starring Séana Kerslake, two at Berlinale (‘Shooting the Mafia’ and ‘A Dog Called Money’) and Irish audiences can look forward to them coming to their screens this year. Female talent is well-represented in the 2019 slate, with some of the major forthcoming features directed by women including ‘Sea Fever’, the highly anticipated debut from acclaimed director Neasa Hardiman and the Emer Reynolds-helmed documentary ‘Songs for While I’m Away’, exploring the life of the legendary Irish rockstar, Phil Lynott. On the animation front, audiences can look forward to the Kavaleer-produced ‘Alva & the Trolls’, directed by Jenny O’Brien. “The great success story of 2018 was the breakthrough of Irish creative female filmmaking talent on the international stage and the robust and positive changes we are witnessing in relation to gender equality are providing a springboard to drive change in other key areas. Diversity, training, dignity in the workplace and climate sustainability are forefront on Screen Ireland’s agenda for 2019. These are areas in which we will require productions to meet essential criteria to build a truly sustainable and inclusive industry.